LOSS OF MOTHER - TRAVEL AS SACRED PASSAGE. Depending not the quality of the bond, the loss of mother or father could be a very difficult emotional experience. When we encounter it, regardless of the circumstances of their parting each one of us knows directly the truth of our own mortality. If you had a good relationship with them, loss of parents is a painful event of separation. Since our birth our mother was with us, nurturing, loving and caring for us. Most of us grew up into this world imbedded with unshakeable confidence and unconscious belief that our mother will always be with us. Our mother is a part of our set of psychic archetypes or energies that we rarely had the need to question. And Loosing mother means the loss of the innocence, of our subconscious childhood where time doesn’t exist for us in terms of getting old. With a loss of mother, we’re experiencing a sudden disruption to our sense of wholeness based on assumption that this all is permanent if we only learn somehow the trick to maintain it. Here, with the loss of mother we individually encounter the reality that our own life is temporary, and on some deep level we sense the expiration date, inevitable, yet unknown. 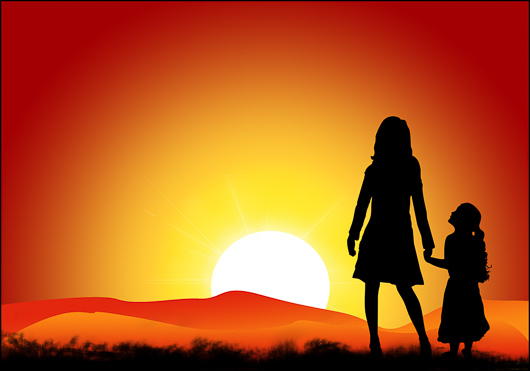 Losing mother, as our confidant and trusted advisor, we are facing a sudden necessity to grow up into being a good loving parent to ourselves, and begin to treat our experience, with unconditional loving of a good and wise parent. PSYCHOLOGICAL EFFECTS OF A LOSS OF PARENT. Going to travel after loss of mother could be very holistic and insightful approach for mending this breached circle of trust, to grieve and spend time healing and finding new relationship with yourself and the world. If you adept at traveling alone, this could be a perfect opportunity to perform certain releasing practices, and recommitting to the meaning of your life. You can make travel after losing mother into a sacred passage of honoring and becoming a better version of yourself. Travel to heal the loss of mother is possible, beginning with a right intention to take it on purpose and not solely as a trip for distraction. Then the closure will be meaningful and conscious, meaning that it will be used to honor and acknowledge your mother for giving you life and loving you from early years through. Thus travel will provide a necessary seclusion from ordinary demands of life to spend some time to process unexpressed feelings and letting them go. And return to a more deeply felt connection to your own life. HOW TO WORK WITH THE LOSS OF MOTHER. Release Unexpressed feelings. Any feeling that associated with someone in your life that hasn't been expressed or let go off continues to draw energy from you even when it is not present in immediate focus of your awareness. Letting Go Ritual. To clarify and remove an attachment to a pattern or a relationship that is no longer functional, it becomes very important and practical to perform a ritual of letting go. Committing To The Best Version of Yourself. Committing to the best version of yourself means that you begin to relate consciously to yourself as a co-creator of results in your life. You take responsibility to create best results that are beneficial to you and non-harmful to others.